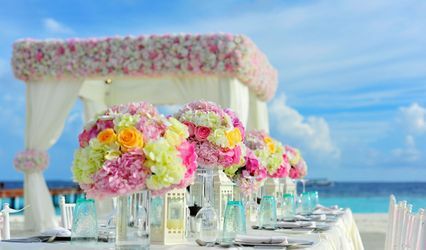 Positive Impact Solutions is a seasoned wedding planner based in Fort Lauderdale, Florida. 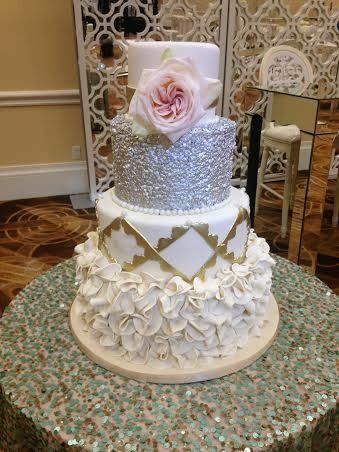 With over a decade of experience in the industry, they have the skill and talent needed to execute every detail of your special day. 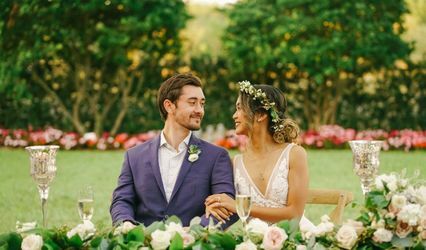 They will work with your needs and budget to help you every step of the way; creating your dream wedding. 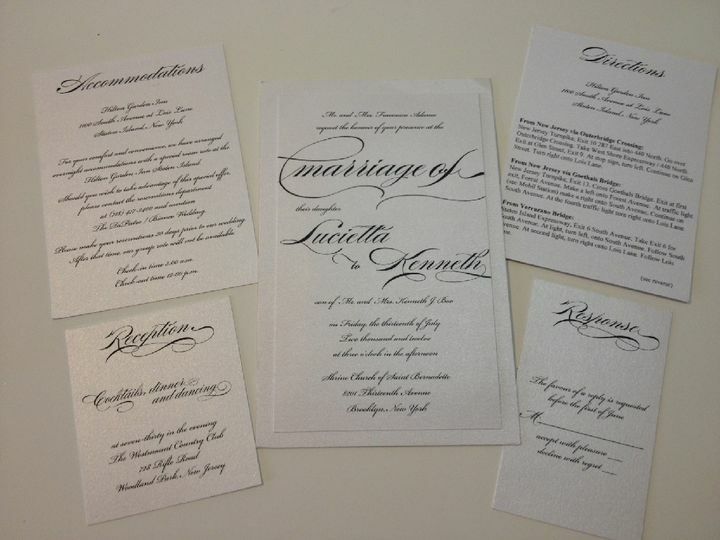 Classic black and white invitations with a dramatic eye catching font. 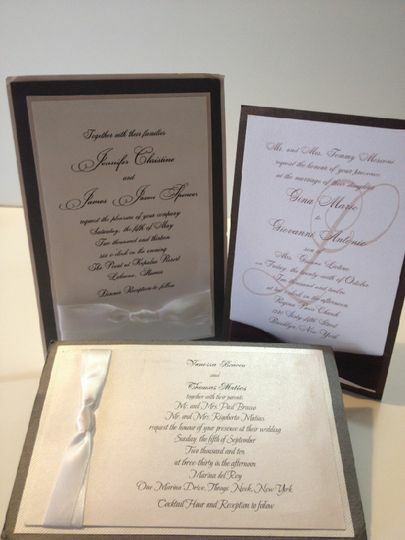 An elegant invitation with an embossed design. Invitation with a pop of pink. 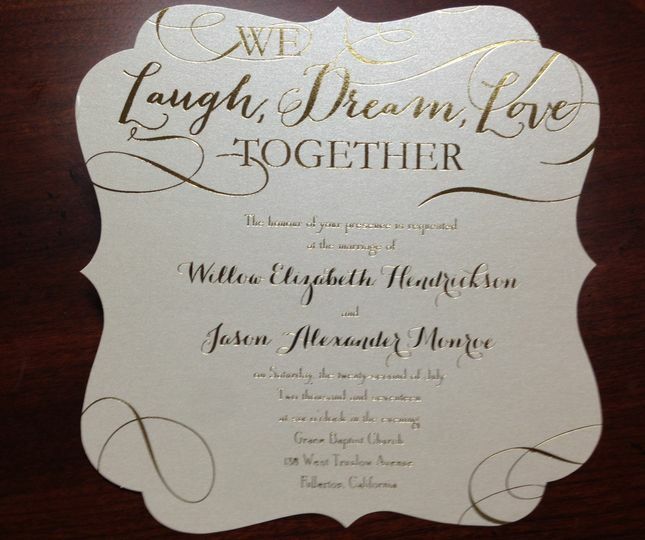 Die cut invitation with gold details. 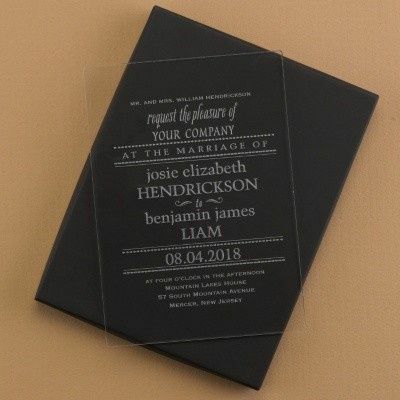 Acrylic invitation with playful fonts. Matching bordered invitation and place card with a personalized napkin. 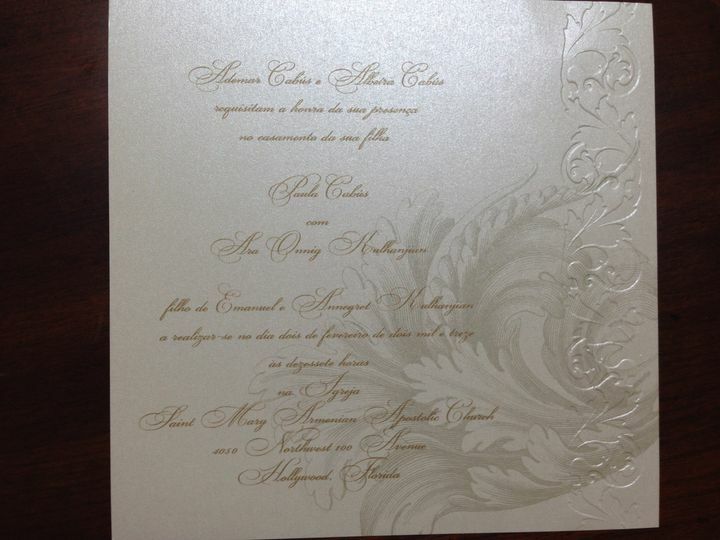 Front of the gold palm tree invitation. Turquoise and gold palm tree invitation. Front of a pocket invitation with a plane graphic. Wedding and menu program with monogram. Classic black and white menu. 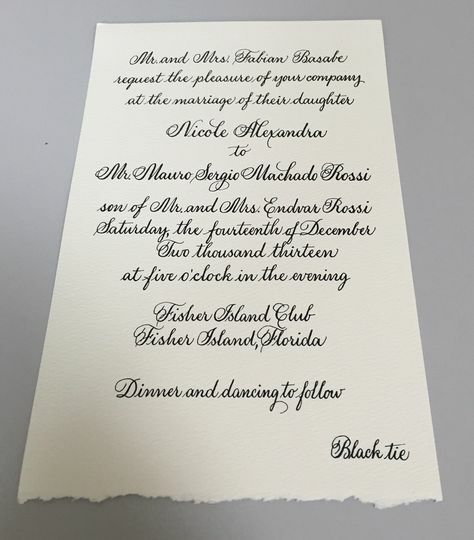 Black and white wedding program. Blue and white wedding program with formal font. White and blue menu card. Silver menu card with monogram at top. 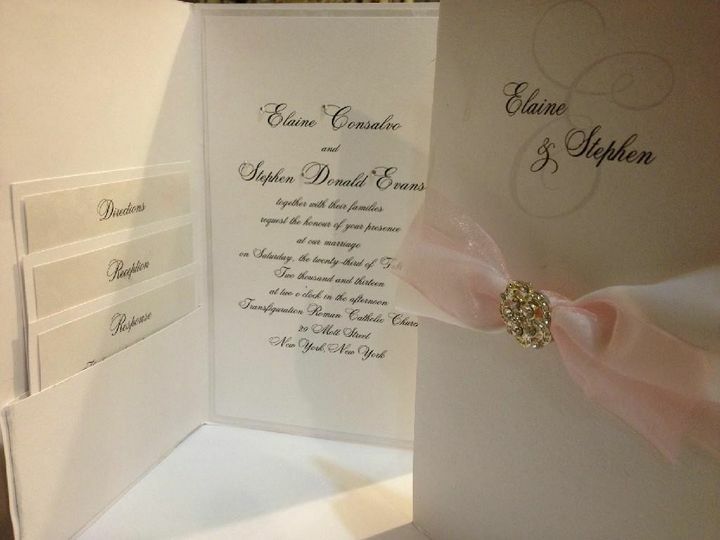 Formal wedding program and information card insert. Reception at the Gallery of Amazing Things in Dania Beach, Florida. 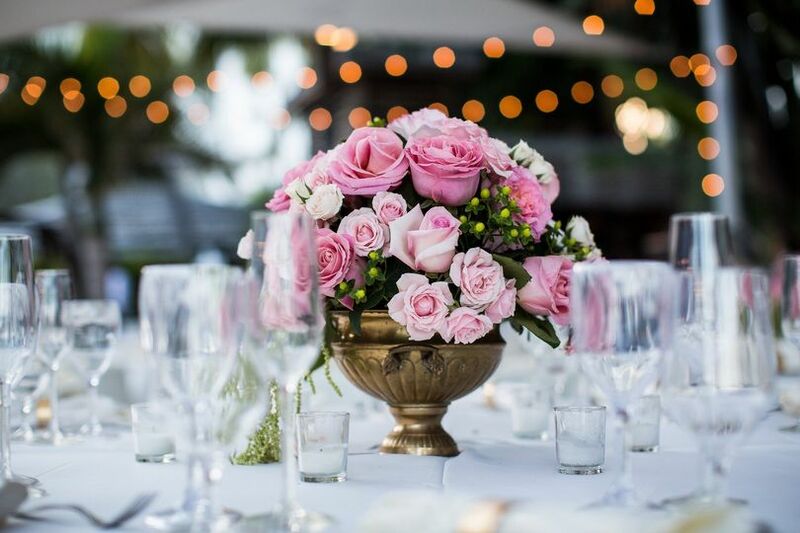 Table setting for a wedding at the Gallery of Amazing Things in Dania Beach, Florida. Chuppah for an outdoor wedding ceremony at the Waterstone Resort in Boca Raton, Florida. Sand dollar place cards for a wedding at the Waterstone Resort in Boca Raton, Florida. Personalized napkins for cocktail hour. Custom napkins for cocktail hour. Joe was a pure pleasure to work with! Despite a crazy timeline, he turned my ideas and vision into a reality and I just had to show up. He helped make the event stress less and I could enjoy the time with guests. Grateful I hired Joe Martinez at Positive Impact Solutions to help me with the planning of my event. He made the experience both simple and fun. 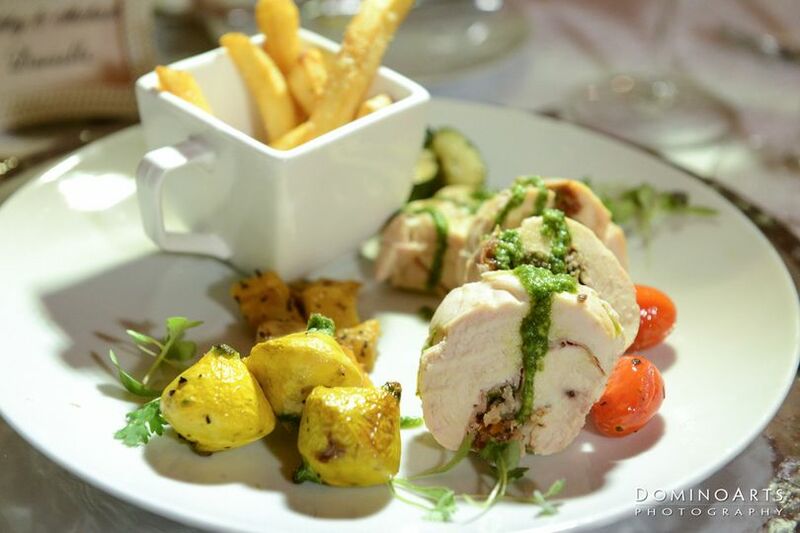 Joe spent time with me, and offered extra recommendations... which made the event extra special. I will definitely use Joe's services again in the near future. Positive Impact Solutions is a DREAM to work with! 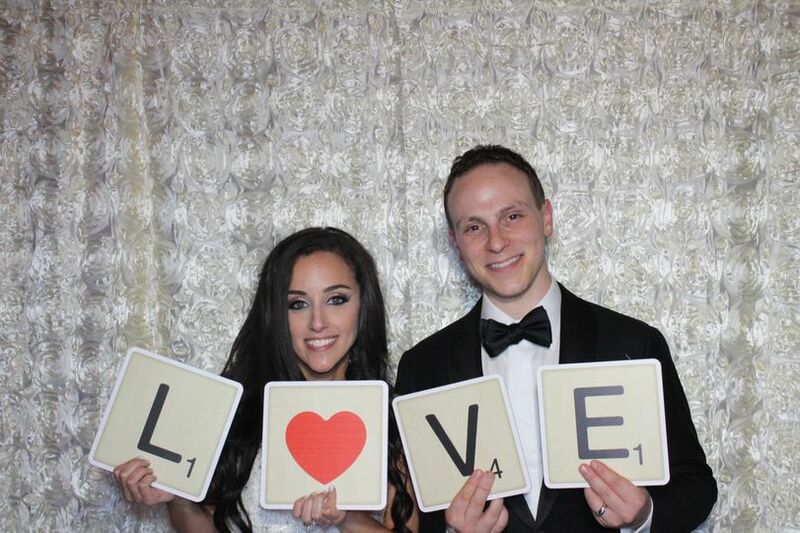 Joe has a great passion for party planning and an incredible sense of creativity. Along with Meredith and Pat, this one-stop shop cannot be beat. 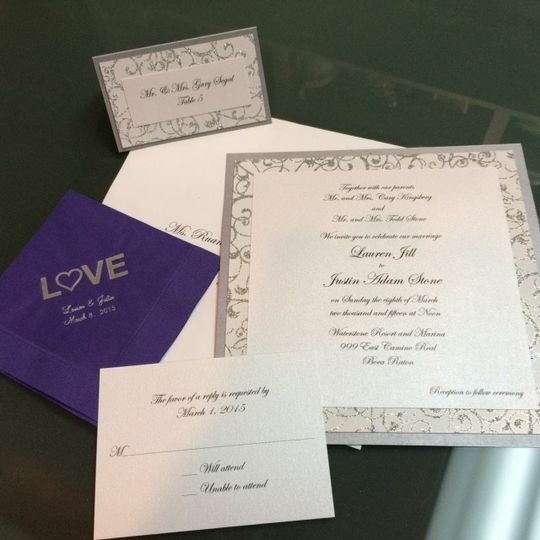 PIS has a large collection of invitations to choose from and they can/will switch out colors, fonts and designs to fit your needs. They also have a large amount of party favors and are willing(and VERY able) to think out-of-the-box. 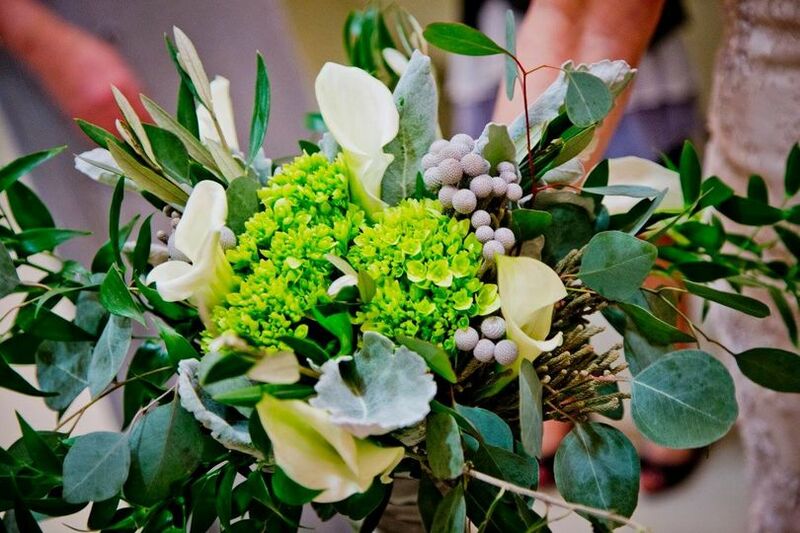 Their collection of vendors is vast and provide you with everything from photographers to florists. Joe has a very laid-back style which makes him a pleasure to work with. But rest assured, he is on top of every detail from the beginning to the end. I especially applaud his efforts the night of our party in getting everyone to where they were supposed to be and resolving every small issue that came up with great ease. I would HIGHLY recommend Joe and Positive Impact Solutions for ANY event!